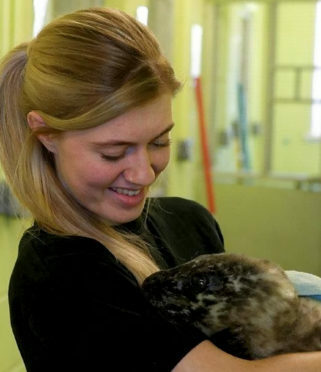 Scottish SPCA staff member Sarah Beattie with the female harbour seal pup. 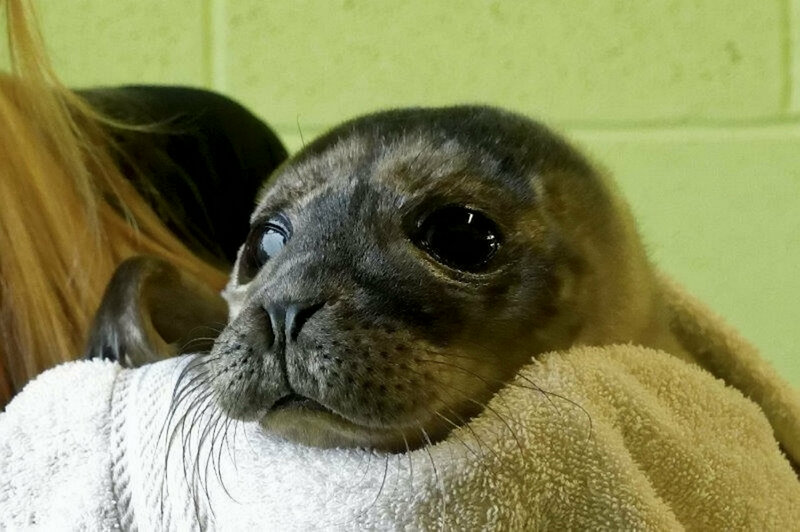 A seal pup has been flown from a remote Scottish island to the mainland for specialist treatment after being found abandoned. The two-week-old female pup was found alone on Eriskay in the Outer Hebrides by a concerned local vet. She was flown to Glasgow by Loganair before being taken in by the Scottish SPCA at their National Wildlife Rescue Centre in Clackmannanshire. It came just 24 hours after a male pup was found alone and distressed on the coast of Eigg on Monday and was taken to the same rescue centre. Centre Manager Colin Seddon said: “A two week old male seal pup arrived into our care on Monday after being discovered alone and distressed on the coast of Eigg. “He was very dehydrated when he first arrived and is still a long way from being fully recovered but he’ll receive round the clock care here at our National Wildlife Rescue Centre in Fishcross. “Another two week old pup arrived on Tuesday after being flown down from Eriskay where she was spotted alone by a concerned member of the public. “She was flown to Glasgow by Logan Air before being transported to our wildlife centre. 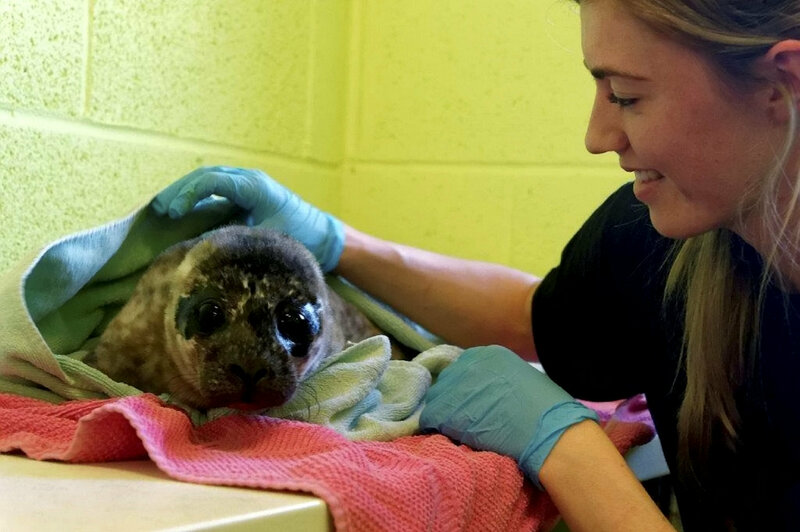 Scotland’s animal welfare charity cared for 177 seal pups last year, and 2018 is proving to be another busy year for injured and abandoned seals. Loganair is running a competition asking the public to help choose names for the double act in line with SPCA’s Disney theme for animals names this year. The choices for the vote are Ariel and Eric, Dory and Marlin or Nala and Simba.